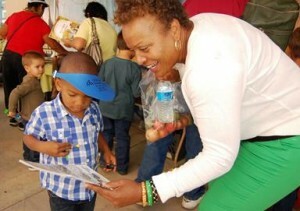 The event was aimed at promoting literacy, therefore, even child in attendance got to take home an age-appropriate book. LANCASTER – Nearly 2,000 children and parents flocked to The Hangar on Saturday for a family fun day to promote literacy. The 4th annual Laps4Literacy event took place from 9 a.m. to 1 p.m. and drew a record turnout, organizers said. Regina Brooks and her foster son Taetumn. 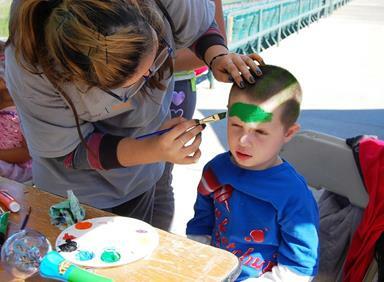 “We probably doubled attendance from last year, so we would definitely call it a success,” said Susan Montalvo, of the Childcare Resource Center, the organization that hosted the event. “It keeps getting bigger every year,” Montalvo added. The event kicked off with a 5K walk/run/stroll that drew about 400 participants. The day continued with a host of special performances, children’s activities, games, face and hair painting. There was also a mini farmers market, where families could pick out fresh fruits and vegetables to take home, at no charge. 5-year-old Jaiden gets his face painted at the Laps4Literacy event. 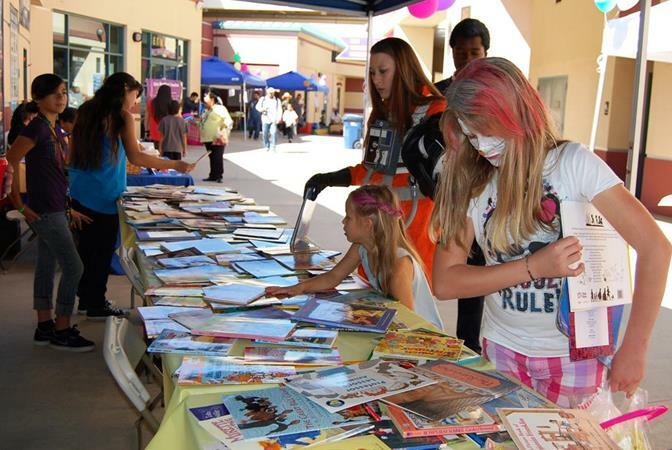 The family fun day was aimed at promoting literacy in the Antelope Valley. Regina Brooks attended the event with her two foster sons, Teaghan and Taetumn. She said the farmers market was a hit with her boys. “They got to bag up the fruits themselves, so they really enjoyed it,” Brooks said. 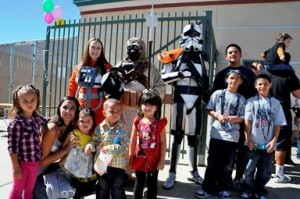 Star Wars characters were a hit at the event. For Brooks, the event fulfilled another more important purpose. For more pictures from this event, visit our Facebook page. 1 comment for "Laps4Literacy event sees record turnout"